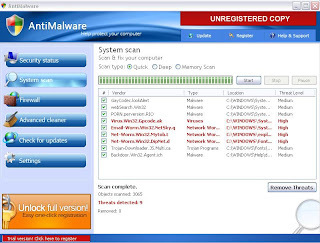 AntiMalware is a new rogue security application from CoreGuard Antivirus 2009 rogue family. This rogue replaces Active Security rogue security application. The families tradition of attacking legitimate security software continues. AntiMalware rogue attempts to uninstall the following programs if found installed on the users system.